I describe my personal style as “sophisticated kindergartner,” since I tend to wear clothes in fun, colored prints, tactile fabrics full of sheen and sparkle. Shoes are rarely practical as patent leather heels are donned at least twice a week and I am always wearing turquoise. While I tend to ignore the casual Friday memos, my style is one of a modern, girly Navajo woman who enjoys getting ready in the morning. It is in the early morning hours between my rituals of running and prayer that I feel closest to the women in my life. I hear my late Nalí lady best in this time. While alive she would always stress how it was important to wear dresses and skirts. Of course, these lectures occurred often during my undergrad days at Arizona State and always when I was wearing jeans. When my Nalí lady passed away so many people would approach me giving condolences often noting how she always dressed in her traditional skirt and looked very respectable. Her style was full of poise. She wore skirts everyday explaining it was the way we respected Mother Earth. It was by wearing a skirt that Mother Earth knew we were Navajo women. While she wasn’t the only lady in my life who dressed in this manner, I would consistently hear from her how important it was to do so. As I begin my career I began to see the beauty of wearing skirts, especially dresses. They were effortless – no matching required, it was one seamless piece. To this day dresses and skirts are something I have embraced. They are delightfully feminine and I tend to make them mine with sparkly accessories and my signature turquoise ring. As noted before in a previous post, I am part of a trio which blogs about Native style. 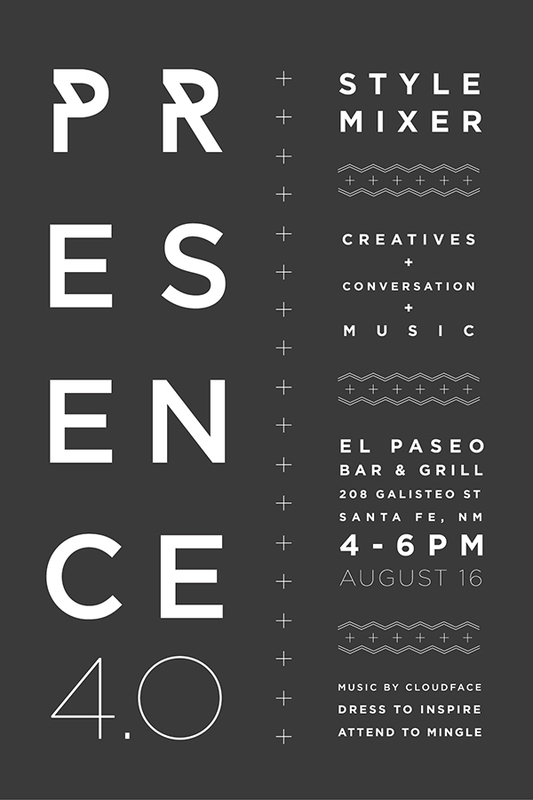 This week we, Presence 4.0, are hosting a STYLE MIXER in Santa Fe, New Mexico just before the start of the Santa Fe Indian Market. We are delighted to provide a platform for people to come together, create new connections and form collaborations while conversing about the power of art and style. Should you find yourself in town join us Friday, August 16, 2013, 4-6pm at El Paseo Bar & Grill for the inaugural Presence 4.0 STYLE MIXER. I write this as I prepare to leave the desert for the week’s events, I am anxious about our event but certain of two things, the night will be memorable and I will be wearing a dress. perfectly stated, as I am your twin. lol, great job.